Vera Pasta owner, Chef Joe D'Andrea grew up in an Italian household in West Chester, PA. At an eary age, Joe's passion for Italian cuisine was introduced to him by his grandmother, whose cooking style originates from the Abruzzi region in Italy. In 2008 Joe graduated from West Chester University receiving a BA in Business. Shortly after, in 2010, he enrolled into the Italian Culinary Academy in Manhattan where he learned classical cooking techniques, along with Italian language and culture. During his time in Manhattan, Joe worked under Michelin Star chef, Cesare Casella at Salumeria Rosi where he was taught the intricacies and distincitve traditions of Tuscan cuisine. In early 2011, Joe traveled to Parma, Italy to attend ALMA, The International School of Italian Cuisine. Upon completing school, he interned in Sorrento under the guidance of Michelin Star Chef Nunzio Spagunolo, learning everything from classical Italian techniques, regional ingredients, culture and language. 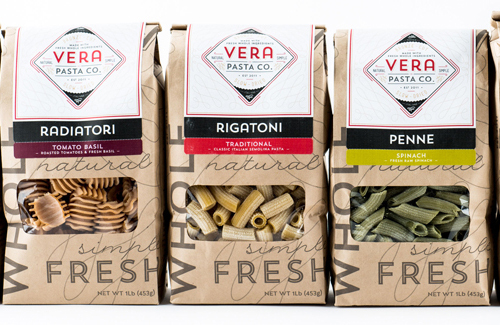 A few months after moving back home to West Chester, PA, Joe started his business, Vera Pasta, in a mission to bring the simple, true flavors of Italy back home, and produce a home-delivered product with a promise of quality and authenticity. 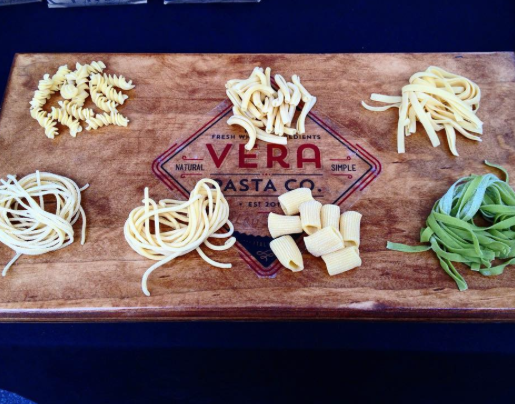 Vera Pasta is dedicated to showcasing pasta and sauces from all regions of Italy, from the rich sophisticated north to the rustic bold south.